Probioguard is a potent probiotic suitable for people considering travelling abroad or people who have used a course of antibiotics. It may also be beneficial for those individuals with regular bloating problems or on-going digestive disturbances. 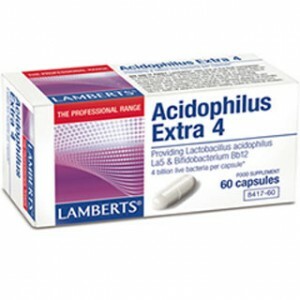 Lamberts Probioguard contains four carefully selected strains of friendly bacteria, Lactobacillus acidophilus, Bifidobacterium, Streptococcus thermophilus and Lactobacillus delbrueckii ssp bulgaricus, which have been widely used in clinical studies. These species of bacteria are specially selected for use when travelling, as local cuisine can expose the gut to new challenges where different bacteria strains may be present and this can unsettle digestion. Be the first to review “Lamberts Probioguard 60 Capsules” Click here to cancel reply.